Thank you for joining us in classrooms around the world - you are helping to change the lives of children and everyone around them, and we're grateful for your commitment. 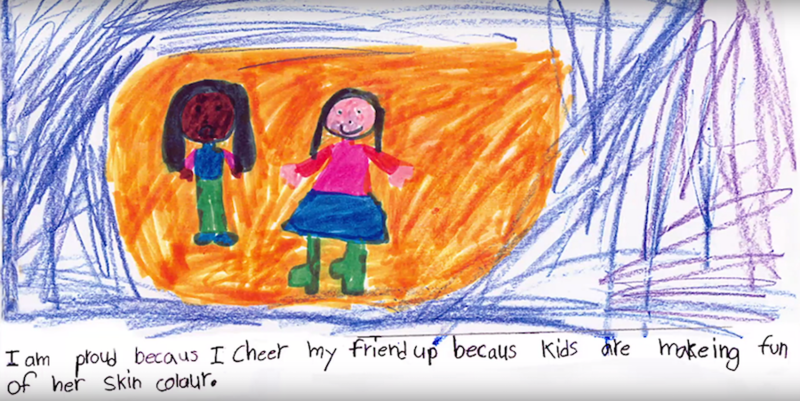 Mary Gordon, Roots of Empathy's Founder President, sends this video message to all of you. Instructors, we know how important you are to the children we serve. You commit your time, your skills and your love to every child around the green blanket. It's an understatement to say we couldn't do it without you. We wanted to hear what the Roots of Empathy experience is like for Instructors, so we asked Rebecca Leslie to share her story - the impact on her students, and on her. Thank you to Rebecca and to each and every one of you who coach children to develop empathy in classrooms around the world. We are grateful. Welcome! We're so happy to have you join us. This group of newly trained Instructors will launch Roots of Empathy programs this fall in Lane County as one of two flagship prevention strategies of 90by30. Its goal is to reduce child abuse and neglect 90% by 2030. As children head back to school this month, some of you - the lucky ones - will be the recipients of artwork coming home in backpacks. Or maybe you'll see artwork on the bulletin boards at school. Maybe you encourage your child to make art at home. Art is an important part of Roots of Empathy because art expresses unsaid emotions and we can learn from it. We've put together an art slideshow, with explanations, where children finished the sentence "I felt proud when...." We wanted them to reflect on a time when they felt intrinsic pride, when they did something that made them feel proud of their character, even if it was invisible to others. Enjoy the show! Roots of Empathy is a tax-exempt non-profit organization, under the section 501(c)(3) of the Internal Revenue Code, and therefore all charitable donations are deductible to the full extent allowed by law.